Thai is the greatest cuisine ever – The selection of Thai dishes shown below are some of my absolute favourites. So if you didn’t already know I absolutely love Thai food, the more you eat it the better it seems to get! The flavours and spices always combine seamlessly and I often eat way more than I should. 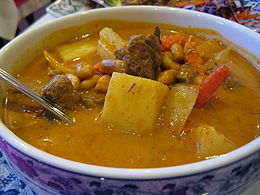 The Thai’s, Malaysians and Indonesians all claim this dish as their own. I don’t really care who made it all I know is that it’s truly the greatest sauce ever! 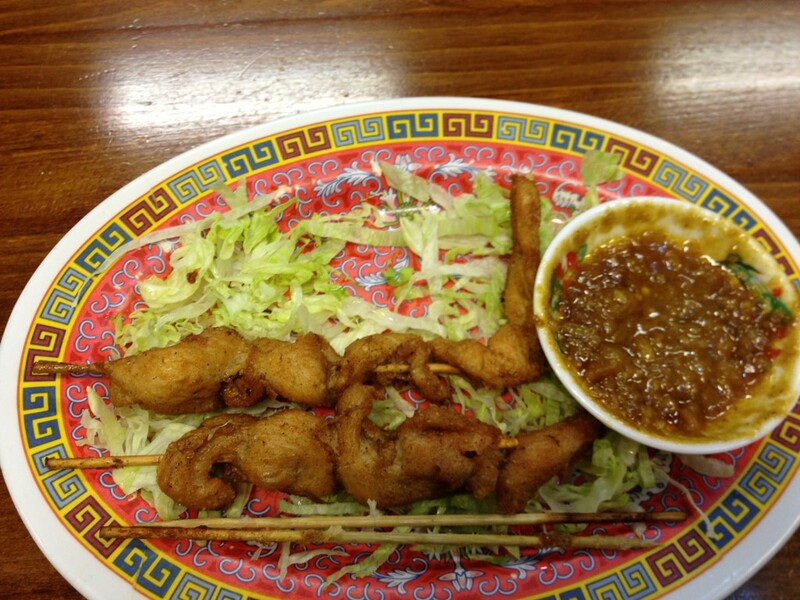 I prefer chicken satay over beef or prawn and quite enjoy mixing the left over sauce in with some crispy seaweed. Thai food isn’t all about spices and chilli’s they can make great deserts too! 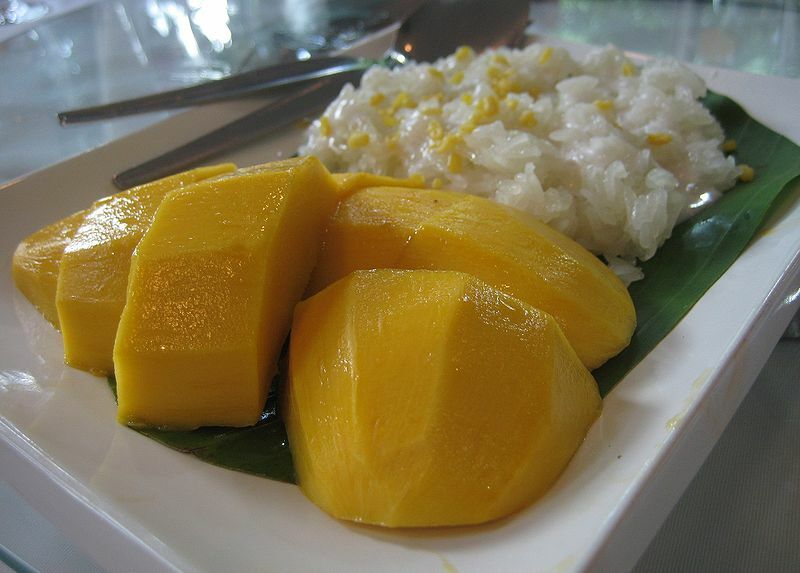 Sweet sticky rice made with coconut milk and fresh slices of mango make for a great desert. If you have room left after appetisers and mains make sure you give this a try. One of the most famous Thai dishes. 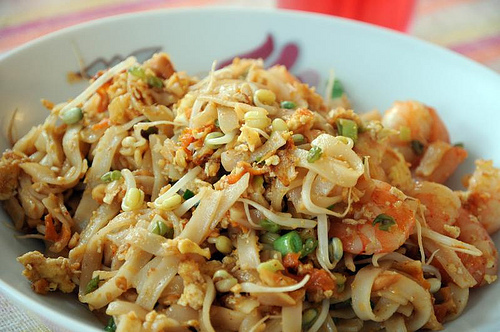 Everyone must have tried Pad Thai at some point? Thailand’s version of fast food is made with stir-fried rice noodles eggs, fish sauce ,tamarind juice, red chilli pepper, bean sprouts, shrimp, chicken, or tofu, garnished with crushed peanuts, coriander and lime. You can find it on almost every street corner in Thailand and it costs very little if you are eating on a budget. A really tasty but quite hot curry. I find it much hotter when it’s served in Thailand rather than at a restaurant here at home. You have probably tried Red, Yellow or Green curry as these are the most popular. If you haven’t had a Massaman yet then make sure you give it a go. It’s made with coconut milk, roasted nuts, potatoes, cinnamon, bay leaves and fish tamarind and chilli sauce plus lots more. It really is an intense coming together of flavours and one of my favourite Thai dishes. 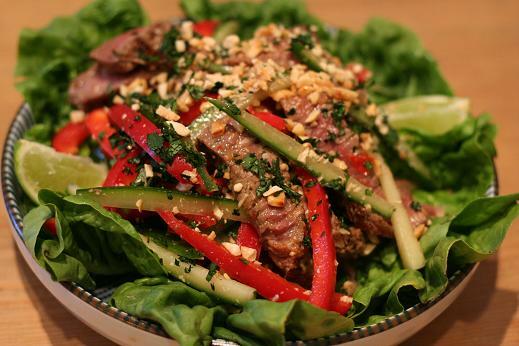 If it’s hot and humid sometimes you just want to eat something light and easy, well the Thai’s make great salads too! Look for the words Yam on any menu and it will be a sour/spicy salad. Most are made with a meat or fish and tossed with fish sauce, lime juice and birds eye chilli’s. Other common ingredients are shallots, peanuts or cashews and chilli pastes. So there you have my Top 5 favourite Thai dishes. I don’t know about you but I wrote this post at lunch time and am now super hungry! nice choices! my friends loves the Massaman but I couldn’t get enough of the Penang. I am a late bloomer with curries so I only tried them the month before leaving Thailand – so glad I did! i can’t wait to have it again. Thai food is my favourite! I would eat all of these delicious looking dishes! WOW – Making me want to go back to Thailand so bad! Some of the best food in the world right – And that mango sticky rice…. MMMM I want to taste it again so bad! 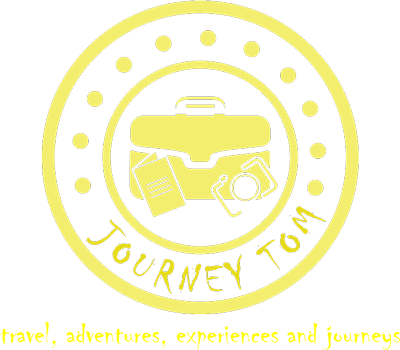 Thanks for inspiring a bit of wanderlust today!